Earn $3.47 in VIP credit. Click to Learn More. 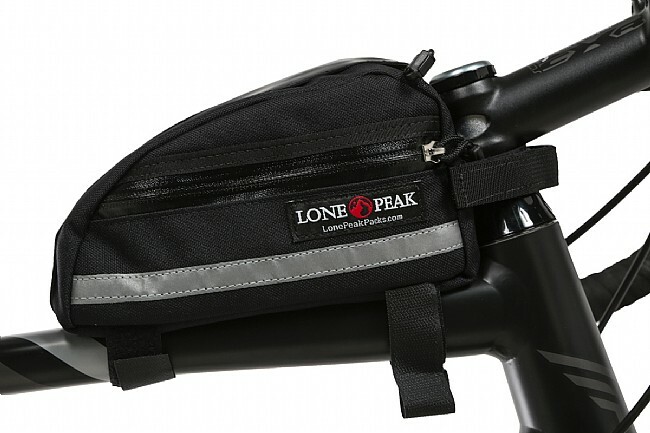 Lone Peak's Kickback II Top Tube Bag provides extra room compared with the original Kickback, and it's still hand-stitched in the USA from 1000D water-resistant nylon. 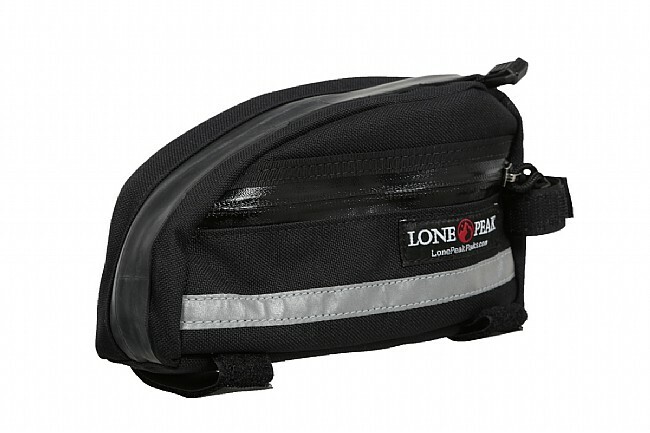 A recycled inner tube protects the top zipper for rain, and the zipper to the side pocket-zipper is weather-sealed for even more protection from the elements. 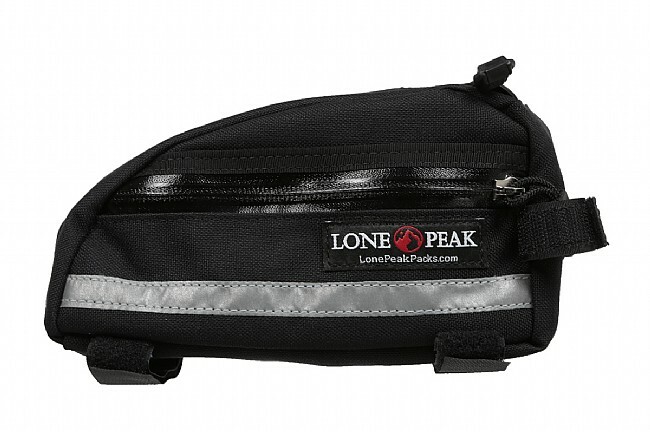 Perfect for food, a wallet, and a phone, the lining contains high-density closed-cell foam to keep its contents safe and to add structure to the pack. It attaches using 2 Velcro straps on the top tube and one more around the fork steerer for a secure fit.